Our Professional Locksmiths Offer Complete Range Of Commercial Locksmith Services, Available 24/7! Call Tucson Locksmith 24 for quick, professional, and affordable commercial locksmith Tucson services! Tucson Locksmith 24 provides professional lock and key services for increased safety and security of your commercial property or business. When you need a new master key system installed, want to rekey office locks, or need access to your safe, our commercial locksmith Tucson technicians will be at your location within 25 minutes or less to get the job done FAST. Our commercial customers count on us to manage everything from high-security locks to panic bar installations, lockout services, and more. We know exactly what it takes to increase the security of your business, building or office space. Our highly-trained commercial locksmith Tucson team is available 24/7 and uses advanced equipment and techniques. 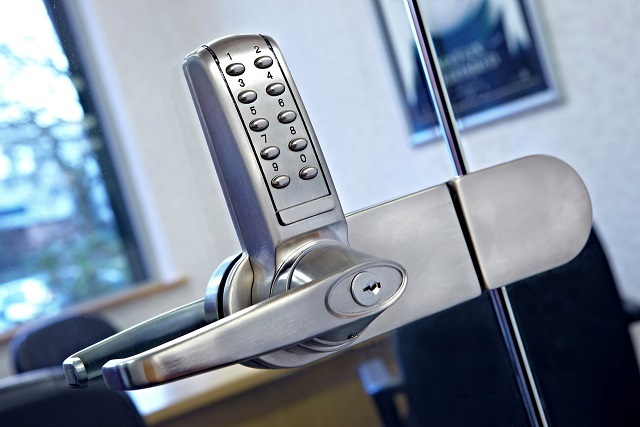 We can assist with all types of commercial locks and keys projects and always provide a high level of customer service. We work hard to ensure complete customer satisfaction every step of the way! Are You Looking for Commercial Locksmith Service in Tucson AZ? You Best Choice for Commercial Locksmith Services in Tucson AZ! Our commercial locksmith Tucson AZ team serve commercial customers in Tucson AZ since 2006, keep in mind that we never did not complete a job or left a job site when the customer not 100% happy. Feel free to call Tucson Locksmith 24 with any question or for service request.